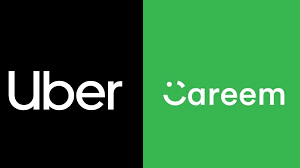 Uber has just announced this morning (a mere three days prior to Lyft's IPO and a month prior to Uber's own IPO) that it is acquiring the leading Middle Eastern ride-hailing service Careem for $3.1 BILLION. Although Careem appears to have gross billings that exceed $400 million, its estimated net revenue is only $175 million. Uber appears to be paying an absolutely HUGE multiple of 17.71X net revenue, which could fortify Friday's initial IPO valuation of Lyft while causing HyreCar (HYRE) to soon explode deep into double digit territory and never look back! This deal is a game changer for the ride-hailing space. Demand for Lyft's IPO on Friday will be through the roof! Lyft's initial pricing range of $62-$68 per share gave it an implied valuation of $21-$23 billion. The mid-point of that range only valued Lyft at $22 billion or 10X revenue! According to Google Trends, over the last twelve months, Lyft's worldwide search interest on average has been 9.375X higher than Careem. If Careem was worth $3.1 billion, Lyft could easily reach a $29.06 billion market cap (9.375X higher than Careem) by the end of next week, which would price Lyft at $85 per share. NIA predicts that Lyft will ultimately price its IPO on Thursday at $70 per share ($2 per share above the top end of its initial offering range). On Friday, we expect Lyft to open for trading at a price of $75 per share or higher. On a very conservative basis, we believe Lyft will reach at least $85 per share by the end of next week. By the time Uber goes public in late-April, Lyft is likely to be trading north of $100 per share. Right now, there are tens of thousands of U.S. retail investors with cash on the sidelines that they are hoping to invest into Lyft this week at an IPO price of $62-$68 per share. Some of these investors will chase Lyft up to $85 or higher, but once Lyft approaches $100 per share they will look for undervalued alternatives. According to Google Trends, over the last twelve months, Careem's worldwide search interest on average has been 11.5X higher than HyreCar (a well-known rapidly growing car-sharing technology company catering exclusively to Lyft and Uber drivers). Almost nobody knows that HyreCar is already publicly traded on the NASDAQ under the symbol HYRE with an insanely low market cap that somehow remains below $100 million, but word will spread fast over the next 96 hours. If Careem is worth $3.1 billion and its valuation was 11.5X higher than HYRE, it means HYRE would rise to $23.02 per share - where its market cap would be a much more fair $269.565 million. Amazingly, HYRE will be announcing its record breaking 4Q and year-end 2018 results after the close on Thursday and hosting a major conference call at that time. 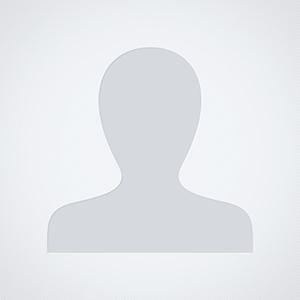 We expect HYRE to discuss during its Thursday evening conference call how their backlog of car dealerships that want to add their inventory of cars to HYRE's HyreCar Platform, has been exploding in recent months. From what we understand, HYRE is having trouble keeping up with the explosive growth in demand for its services. We heard that despite HYRE successfully adding the cars of 100 major dealers to the HyreCar platform, its backlog has doubled in recent months to 400 dealerships across the naiton, which bodes extremely well for HYRE's incredibly HUGE growth to continue throughout 2019!